BMW VIN Decoder | Free BMW VIN Lookup, Specs, Recall Info and more! VinCheck.info offers an absolutely free BMW VIN decoder tool. Check your BMW’s specifications instantly. Enter your BMW VIN below and click on the Decode VIN button to start your vehicle research. In 2017, BMW has its biggest recall involving 1.4 million cars and SUVs due to a fire risk. The recall includes 504,000 vehicles sold in the United States (the largest ever recall for BMW in the United States). Even when vehicles are unattended, wiring for the heating and air conditioning system can overheat and cause connectors to melt. Car owners are advised to park their vehicles outdoors until they’re repaired. BMW will notify owners of the affected vehicles to bring in their cars to have them fixed. Authorized dealers will replace the wiring and connectors for free. For further information, contact BMW Customer Relations at 1-800-831-1117 or email bmwgenius@bmwusa.com. Search for BMW safety recalls announced in the past 15 calendar years using the VIN. How to Decode a BMW VIN? Each character or set of characters within a BMW VIN indicates specific vehicle information including the vehicle’s model and model year, make, where it was manufactured, and more. Here is a sample BMW VIN, WBAVD13576K106219, which we have decoded using the diagram above and the BMW decoding chart. VinCheck.info’s free BMW VIN decoder instantly provides more than these vehicle specifications plus a full vehicle history report. We also provide information on the market value, equipment details, fuel efficiency, safety rating, current warranty, recalls and defects of a BMW vehicle. 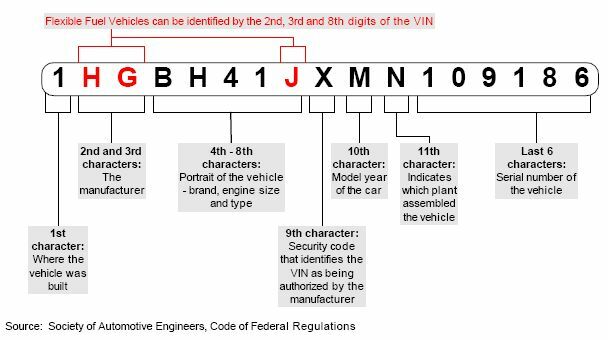 Why should I use a BMW VIN Decoder? Check out VinCheck.info resources on BMW which could be important to you as an owner or a buyer. For more interesting facts about BMW, BMW vehicles or to get a free BMW vehicle history report, visit our BMW VIN Check page. Enter your VIN below and run a Free BMW VIN decoder in seconds!